With the search for Tom Hardy’s replacement rolling on (now that Jake Gyllenhaal has passed), we could have some more Suicide Squad casting news in the near future. According to the super sleuths over at JoBlo, Wade Wilson aka Deathstroke will also feature in David Ayer’s movie as a “hired assassin competing against the Suicide Squad”. The website also claims that Joe Manganiello (who worked with Ayer in Sabotage) could be in line as well as Jai Courtney’s Terminator: Genisys co-star Jason Clarke. Courtney will be playing Captain Boomerang in the picture. Deathstroke is a popular villain in the DC Universe and was featured as the big bad of Arrow season 2, played by Manu Bennett. He has also appeared in Smallville and Lois and Clark: The New Adventures of Superman. 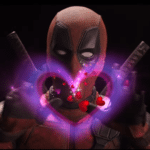 The character of Deadpool in the Marvel Universe is said to be a direct spoof of the character, with Wade Wilson being an inside joke to the two being related.